Michael 'Wayne' Rosen is a british author, broadcaster, novelist and poem, that was born on the May 7th, 1946. On YouTube, the british design agency Artifice Design uploaded since May 2007 vlog videos of Michael Rosen talking about his life and performing some stories, that are originally based from his released books. The first video was uploaded on the May 26th 2007 called Michael Rosen – We’re Going On A Bear Hunt. 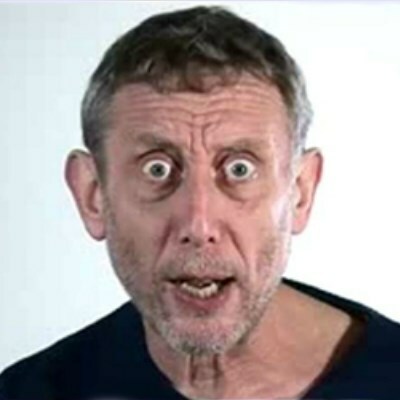 After 2 years, YouTube user komikovideos uploaded on the July 10th, 2009 the first remix video using Michael Rosen’s videos. On the August 6th, 2009 YouTube user SKARlulz made the first 2 YouTube Poop videos and so it started the YouTube Poop series after then. Now that everyone thinks Michael Rosen makes insane and weirdly funny vlogs, his videos became very remix able.